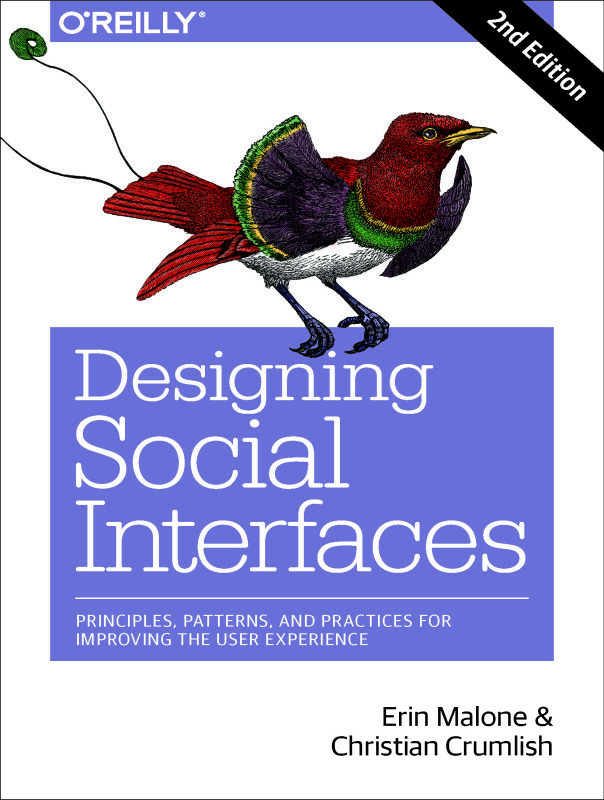 As a person who has created a lot of different types of social experiences over the years and who has written about social experiences (Designing Social Interfaces from O’Reilly Media), I have accounts all over the internet and my phone is littered with social apps that I tried a couple of times and abandoned. Most of these experiences trade in the currency of content. You read content, you consume content, you share content, you collect content. For some of us, we even create content. It’s the digital equivalent of filling the house up like a packrat or hoarder. Talking with students the other night about metaphors for social experiences, they commented how much they liked Snapchat because of its ephemeral qualities. They made the case that it was like talking on a telephone to a friend or having a conversation in person. You will remember the conversation, you might remember exact words, but when you each go your separate ways, a record of that interaction isn’t saved to be reviewed or commented on later. You can’t go back to the stack of phone calls and look back a week or two or 10 and rehash it and remix it and comment on it again or share it with others. I have had less experience with the more ephemeral experiences. The communication apps I use like Slack, Messenger and iMessage keep records of your conversations (I can go back years and re-read everything unless I delete it) and while the conversation may feel temporal the record of it is not. Experiences with social activity streams keep revamping their algorithms so in some of these cases it almost feels ephemeral. They make it near impossible to go back to something again and revisit it or comment on it unless it suddenly pops back up, like a bad memory, because someone else made a comment or some action. But that’s not the same because if you look really, really hard you can find it again. It’s like trying to find that letter in the stack that you know you saw a week ago but now there is a week of mail and printouts from the computer on top of it — but it’s there and with a bit of perseverance you will find it again. The idea of ephemeral experiences online is more a mirror of real experiences in the offline world and it seems to me that more and more of this newer generation is truly appreciating that perspective and gravitating to those apps. Things like Snapchat aren’t just popular because their parents aren’t on them — although that doesn’t hurt their adoption—they are popular because the footprint is light, the digital clutter is minimized. It’s a “leave no trace” philosophy. Like a person feeling weighed down by clutter and stuff in my house, I am feeling the weight of my online presence. There are collections to curate and pins and boards to refine and add to, pictures to post and articles to write and comment on or forward on to everyone I know on every platform. I am overwhelmed by the need to feed the machines and to prove that I exist. If I disappear off Facebook for a week my mother worries. The ebb and flow of participation mirrors the ebb and flow of real life and making time for the online me versus the offline me can be as onerous as making plans with 6 people for dinner. It’s complicated and overwhelming and someone has to take charge and no one will be satisfied. The tools that allow consolidation — post to Instagram and it tweets and posts to Fickr and Facebook all at the same time — allow that presence and vitality to be perceived by others but it’s still like an albatross around my neck. It seems, so far, beyond Snapchat which has both a discovery aspect and a private circles of people who know each other aspect, the other ephemeral apps and experiences promote anonymity and for many of these they have devolved to mean spirited content and commentary rather than contributions that just expire but are still tied to a real person with a real identity. I sometimes go out to make photographs and end up just wandering around looking. never making an image on film or sensor, never capturing the moment except in my mind. Those days are freeing and nurturing because I don’t have to manage the artifacts, the stream, the curation, the legacy and it’s wonderful. I just have memories of a beautiful experience. I hope that there are online social experiences in the works that can capture that same feeling, that freedom from the baggage and footprint, that would welcome me — an oldie but goodie in internet years — because no one I know is active on Snapchat even as we also crave and need this freedom from digital permanence now more than ever.